Today's release introduces a new filter option specific to radios, checkboxes, and dropdowns. This feature allows you to select multiple items at once that might be selected. 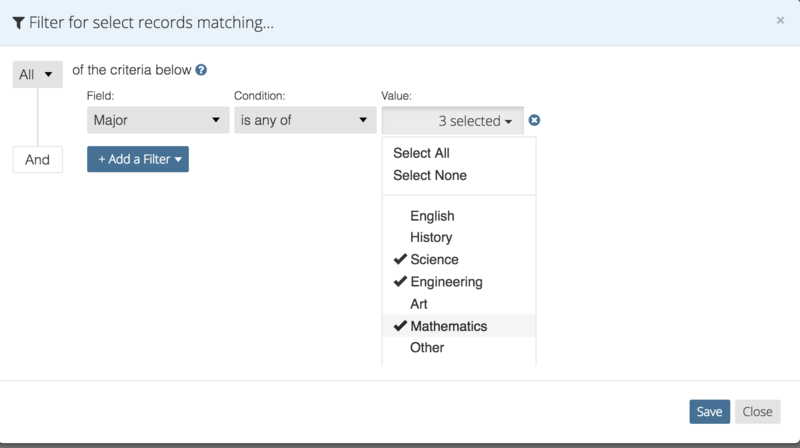 For example, within one filter rule, you can determine if someone's major is any of science, engineering, or math. There is also an option for "is not any of" - this would exclude any of the selected options.